Since April 2017 22STARS KIDS is officialy regristered as a foundation in the Netherlands! Since DECEMBER 2015 we collected almost 10K through GoFundMe. And another 10 K through direct donations (in particular for the weekly food) to our banc account (we removed the Off-line donations from the GFM campaign, to get a better overview on how much was donated directly to our account). At the beginning we would use this money to pay the schoolfees for the children in Uganda and buy them clothes and medicine. As the project evolved we are sending more then 150 kids to school now through direct sponsors! Thus the money that we are colleting now through GoFundMe helps us to give the kids more then just sending them to school. We bought clothes, beds, matrasses, mosquito nets, invested in small business skills with families and paid many medicine bills. 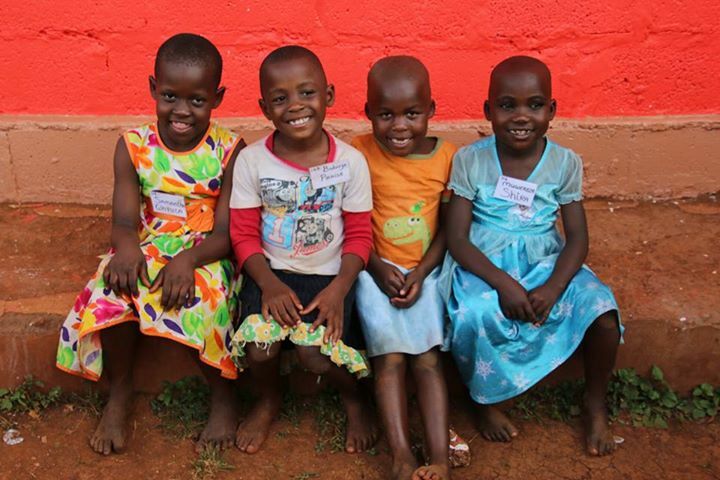 As the number of kids grows and we only have their schoolfees covered by the direct sponsors we urgently need to raise more money to cover their additional costs and needs. We are therefore EXTREMELY thankfull for all donations coming in. Have a look at the list of things we will buy from the donation money. Also if you have a specific cause in mind you would like to see us spending the money on, dont hestiate to contact us! 3) You can share our www.gofundme.com/22starskids campaign and our story with friends, family and colleagues. Love. Share. Support. 4) If you are in Uganda, join us in the Acholi Quarters in Kampala or Danida slum in Jinja and visit our project; please have a look at our website for contact details. 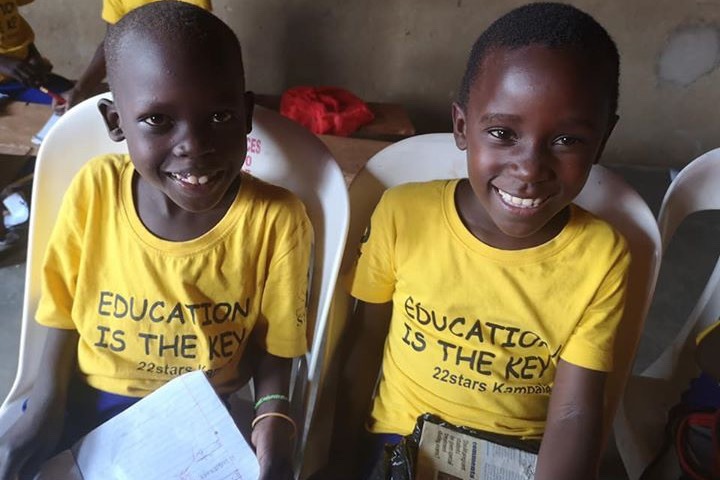 Your kind donations to our ‘22STARS KIDS’ fund will be exclusively used to buy schoolsupplies, food, medicine, invedt in small business projects and clothes for the children in the Acholi Quarter slum and Danida slum in Kampala. 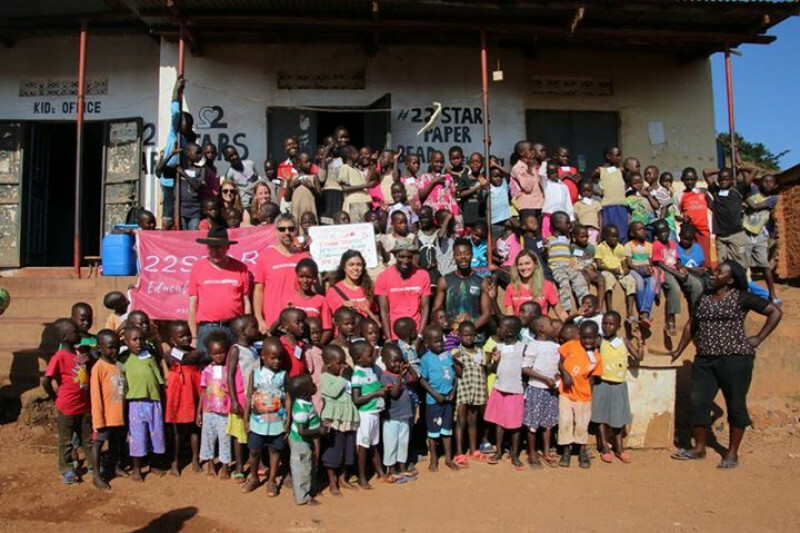 Everything will be directly paid/bought by the founder of 22STARS, Stella Airoldi, who is regularly in Uganda or our project managers Susan and Aidah who will send us the pictures and invoices. If you like to see your money spend on a specific cause and would like to receive pictures, dont hestitate to contact us! You will find more information on our website! This year 22STARS expanded a lot as you probably noticed and we showed up a little differently from what you were used to. In the past we have been able to empower families in Uganda using funding primarily from selling handmade jewellery through our social enterprise that the 22STARS artisans in Uganda made. This product-based model empowered our families in the slums of Kampala and Jinja since 2013 and helped us carrying out our social programs on the ground. The 22STARS artisans were able to send their children to school and some of them even went back to school themselves, like Susan Laker. Once Susan got fluent in English she became our project manager in Kampala. Since, we've seen first-hand the difference that an education makes, Susan Laker and myself wanted to help even more children through a new educational project and expand our successful social programs. While we still make jewellery with 40 artisans, we additionally launched the 22STARS FOUNDATION in 2017 to carry out our social programs on a larger scale. Without our sponsors this would not have been possible, thank you! Our first program was finding long-term sponsors for children living in poverty in the slums. We are sending now 200 children to school ranging from pre-school to boarding school. Our second program is our nutrition program, since more than a year we are serving weekly a hot meal with meat to the kids and additional give food supplies to malnourished kids thanks to Alexander Schledewits and his team. Our third program is a development initiative providing the children and families with basic needs and monitoring its success. Under this program we carried out various projects varying from handing out mosquito nets, beds, matrasses, clothes, water filters and medical treatment. Our fourth program gives families of the children small business trainings and micro credit loans. We started with 32 families in Jinja and 28 in Kampala. Our fifth program is our holistic education program focusing on happiness and well-being. We have extra- curricular activities for our kids like sports, painting, dancing, health education and we are holding parent conferences to include them in the education of their children. Also, some good news, we are officially registered as a foundation in the Netherlands and are supporting over 85 children long term with school fees!! In addition we are using the money of GoFundMe to pay clothes, medicine, food and the school fees of the children who have been selected to join our project, but have not found a long term sponsor yet. The new school trimester starts in May and we are still looking for long term sponsors, please have a look at our website! I saw your talk yesterday at DNX - this is an awesome project :)! Keep up the great work!